Taken 13/09/17; No. 41313 was built at Crewe in 1952, sheded successively at Brighton, Exmouth Junction, Three Bridges, Faversham, Barnstable and finally Eastleigh from where the loco was withdrawn in November 1965. Subsequently arriving at Barry in February 1966, from where the loco was purchased by the Ivatt Trust and moved to Quainton in 1975. Initially brought as a source of spares for their other two locomotives, it was later decided that the engine would eventually be restored to full working order. Subsequently the Ivatt Trust reached an agreement to move their locos to the Isle of Wight Steam Railway and No. 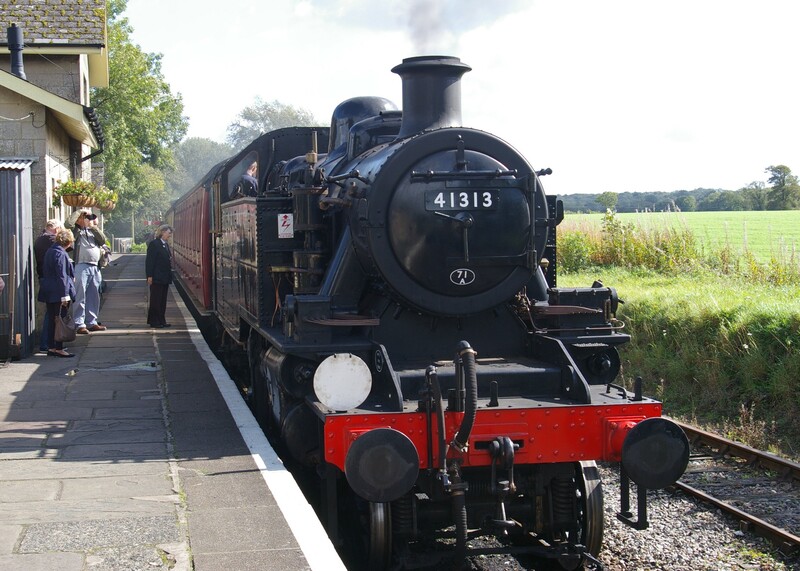 41313 moved to the Island in 2008. In 2015 the loco moved to the East Somerset Railway and returned to service in June 2017. Part of the restoration was fitting air brakes for operation on the Isle of Wight as it is due to return there during Autumn 2017.